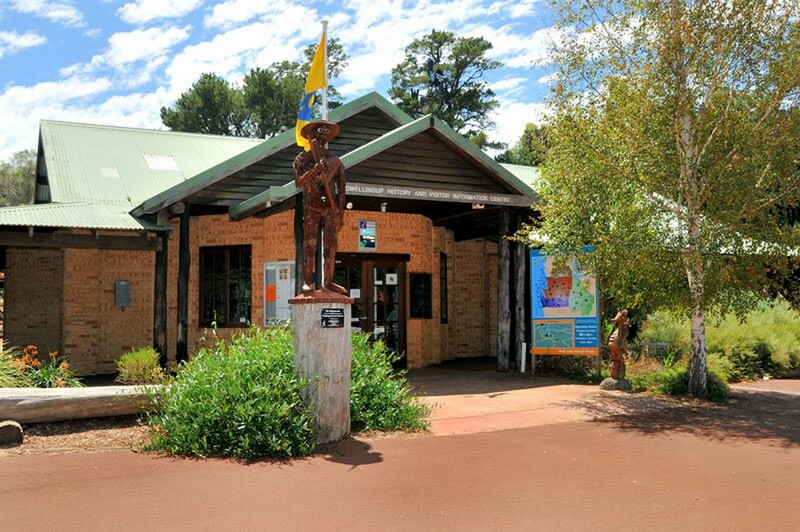 Housed in a modern, timber-framed building, the Dwellingup History and Visitor Information Centre is fully accessible to wheelchair users. It stocks a comprehensive selection of maps and guides as well as many locally made postcards, gifts and souvenirs and offers visitors free WIFI and a charging station for mobile devices . The friendly and helpful staff are happy to assist in any way they can to ensure you enjoy your stay. The Centre is also home to a fascinating local history museum. Discover the stories of the early pioneers, the history of the early mill towns, the military connections to the former POW camp at Marrinup and the extraordinary courage of a town that survived the 1961 bush fire. There is also a fully restored vintage Mack truck on display. Complimentary storage of packs and parcels for Bibbulmun Track walkers. A register for those walking the Bibbulmun Track. Free accommodation booking service and advice.